People often mean a lot of different things when they describe being “in shape.” To some, it’s the ability to run far or lift heavy weights; for others, it has to do with measurements like body-fat percentage. Key components of fitness include aerobic fitness, muscular strength, body composition, power, and flexibility, according to fitness expert Shawn Arent. With training you can improve on each of these measures. There are plenty of people who can bench-press their own bodyweight but would be gasping for breath if they tried to run a 5k. And there are distance runners who can’t do a pull-up or a set of more than a few push-ups. When people talk about trying to get “in shape,” they might mean a lot of different things, according to Shawn Arent, the director of the Center for Health and Human Performance at Rutgers University and a fellow of the American College of Sports Medicine. “For some people, they really mean ‘How do I look better?’ For other people it’s ‘I want to run a marathon. How do I get more aerobically fit?’ For others, it’s ‘I want to be functional in all parts of my life,'” Arent told Business Insider. There are a number of components of fitness, according to Arent, including aerobic fitness, muscular strength, body composition, power, and flexibility. “I would say they’re all important,” he said. At Rutgers, Arent’s lab can assess fitness both for the general population and for the athletes. They can also recommend ways to get stronger and build endurance. “There’s no such thing as too strong, no such thing as too much endurance,” Arent said. But once you understand the categories, you can see what you might want to improve. To test your aerobic fitness, a lab like Arent’s will measure your VO2Max. This is a measurement of the maximum amount of oxygen you can make use of during exercise, and is commonly used as a measure of endurance. Like most measures of fitness, VO2Max declines with age. But by engaging in physical activity that makes you breathe heavily, you can improve it. While you can’t do a full VO2Max test without specialised equipment, you can use this study-backed online calculator to get an estimate of your VO2Max and see how it compares to what it should be. The Mayo Clinic suggests you can also use your time for a 1.5-mile run to assess aerobic fitness for your age. When it comes to strength, most of us want to be functionally strong – able to safely lift, move, and carry whatever we need for our day-to-day lives. Both muscle strength and bone density decline with age, but resistance or weight training can reverse that decline. 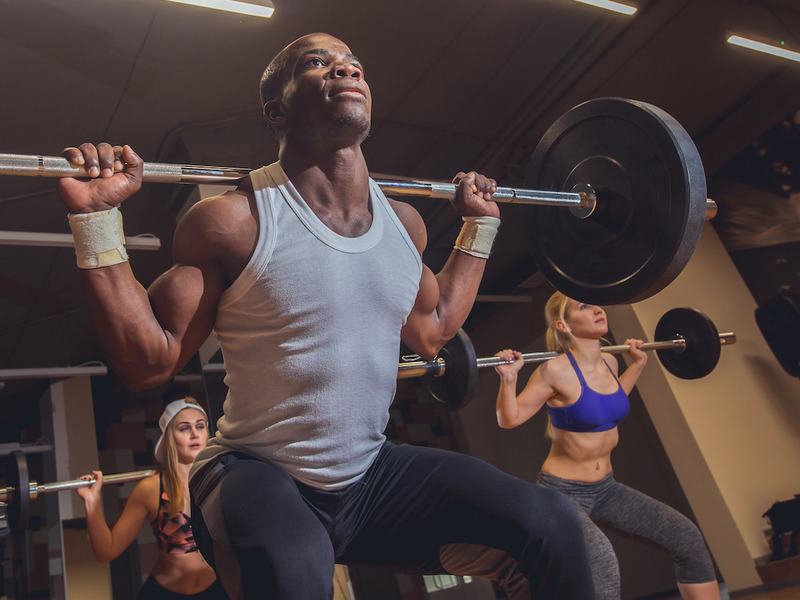 Arent said there are a number of ways to assess strength, but one key measure is figuring out the maximum amount of weight a person could squat, bench press, and deadlift for a small number of repetitions – 5, 8, or 10. That creates a baseline for improvement. The Mayo Clinic says you can also assess baseline strength with a push-up and sit-up test. Body composition is another useful measure. While not all fat is bad, there are certain forms of fat, like belly fat, that can indicate the presence of potentially dangerous fat around your organs. Body composition is a measure of lean mass – how much of your weight is muscle and bone – and how much is body fat. According to the American Council on Exercise, body-fat percentages for men should be below 25% and below 32% for women. To change your body composition, you can use both diet and exercise to burn fat and build muscle. Arent said power is a key measure of fitness too. “When you talk about preventing falls and things like that, strength is very important, but so is power, because it’s the ability to rapidly adjust with that muscle contraction to catch yourself too,” he said. To measure it, the easiest test is a vertical jump. Finally, flexibility is the one area of fitness where it’s OK to shoot for average, according to Arent. You can measure it on your own with a sit-and-reach test, according to the Mayo Clinic. And if you need to improve it, get stretching. You don’t necessarily need to track all these measurements to make sure that you are healthy and fit. The easiest way to ensure that you’re getting enough exercise is just to make sure you meet basic fitness recommendations. To meet the minimum fitness guidelines from the CDC and WHO, you should put in an average of about 30 minutes a day. Five days of moderate-intensity aerobic exercise – like a 30-minute brisk walk or a casual bike ride – is enough to meet the aerobic guidelines. Then two days should include resistance training that involves weights or body-weight exercises, since those activities are the best ways to strengthen bones and muscles. Mix in some stretching or yoga for flexibility. 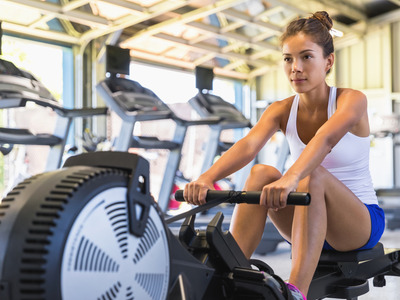 If that sounds like a lot, you can get your weekly dose of aerobic exercise faster by doing vigorous exercise like running or swimming – anything that gets your heart pumping. It takes just 75 minutes of that type of physical activity each week to meet the guidelines. If you’re not doing that, it’s a great place to start. And if you are, you can always try to build up your fitness, as it’s one of the best things you can do for your body and brain.